Melissa Riess joined Disability Rights Advocates as a Staff Attorney in 2017. 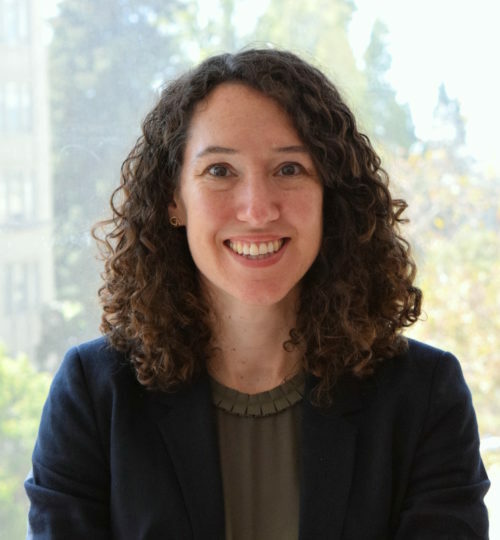 Ms. Riess has a background in consumer protection work, and is an active volunteer at the East Bay Community Law Center’s consumer practice, where she assists clinic clients with consumer debt issues and bankruptcy. She previously represented individual and small business plaintiffs in class action and complex litigation involving consumer fraud and financial products. Prior to practicing law in California, she coordinated strategic litigation to combat the displacement of people during conflict at the Norwegian Refugee Council, an international humanitarian organization. Ms. Riess received an LLM in International Human Rights Law from the University of London School of Oriental and African Studies, a JD from Hastings College of Law, and an AB in Political Science from Brown University.